Scotland’s fourth largest party has pledged to use radical new powers to raise the level at which people start paying tax. The commitment echoes previous Liberal Democrat policy in government, when around 300,000 people in the north-east saw their income tax fall by £700 thanks to a rise in the personal allowance. The move is party of a broad promise to cut taxes for low and middle income earners – although a spokesman admitted the full plans had yet to be finalised. Healthcare is also a particular priority for spending, according to the party. 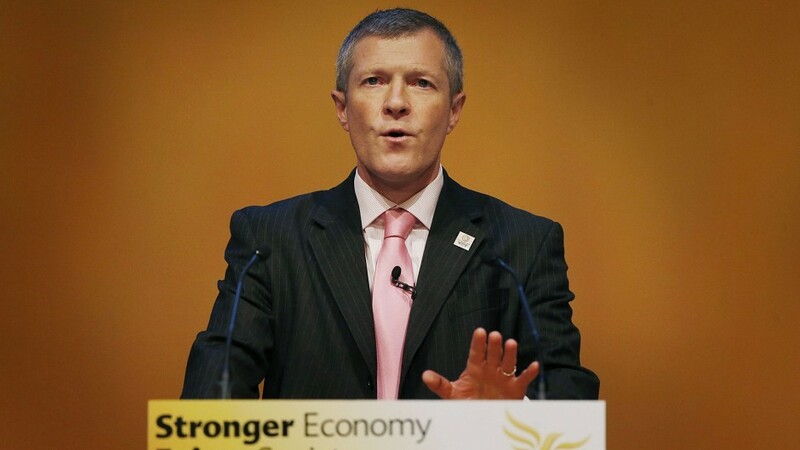 He said: “Liberal Democrats spent five years in government cutting tax for more than two million people in Scotland on low and middle incomes. “We have a commitment to raise the tax threshold further. This will help people on low and middle incomes. “All of our taxation and spending policies will be set out in our manifesto before the elections. The final details will be worked through after the UK Autumn Statement which updates fiscal forecasts and sets the underlying Scottish Block Grant. “We also have to see the final set of new powers that become part of the Scotland Bill. We know that the powers will be the biggest transfer of responsibility in 300 years but we need to wait for the final list of powers to be agreed so we know what we have to budget to pay for in Scotland. The Liberal Democrats were among the parties in the House of Lords to block controversial changes to tax credits – and have committed to “look closely” at how the cuts could be mitigated in Scotland. The spokesman added: “Lib Dems voted to scrap the tax credit cuts in the House of Lords and unless we see substantial reforms from the Chancellor we will block them again.